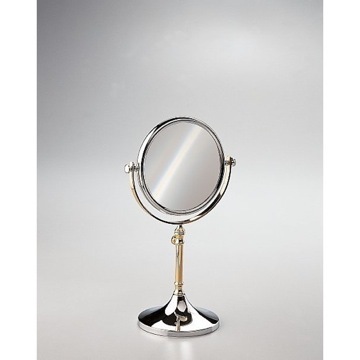 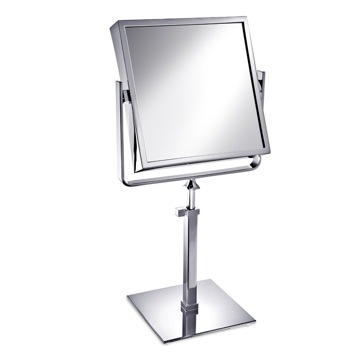 Mount this trendy mirror right onto any glass surface and just like that you have a high-quality makeup mirror. 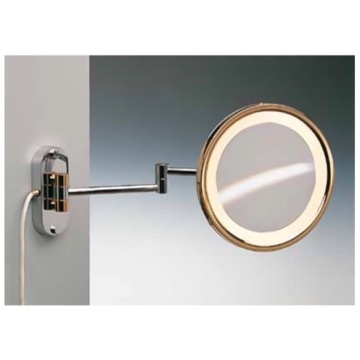 Made out of high-quality brass, this model comes with either chrome or gold finish and 3x or 5x magnification. 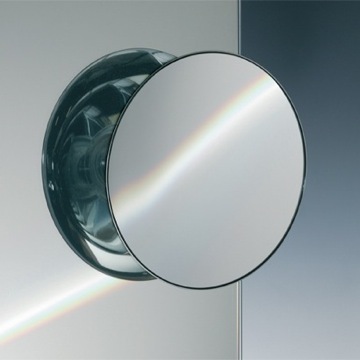 With its round design, it's the perfect addition to any bathroom. 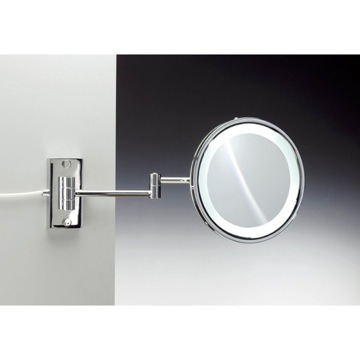 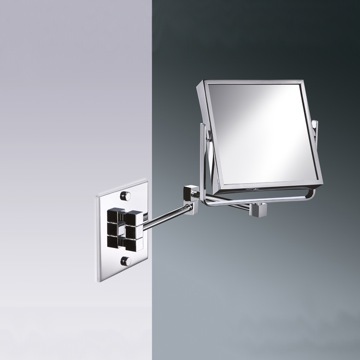 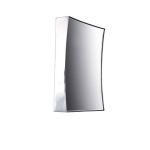 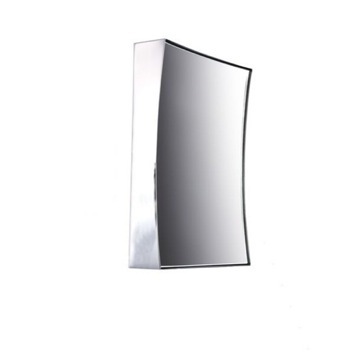 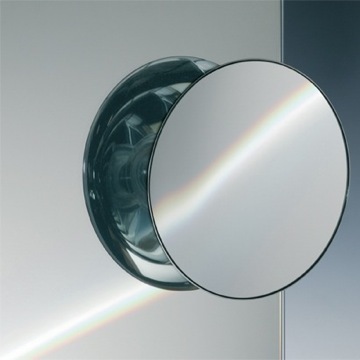 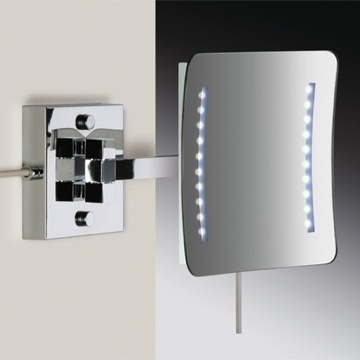 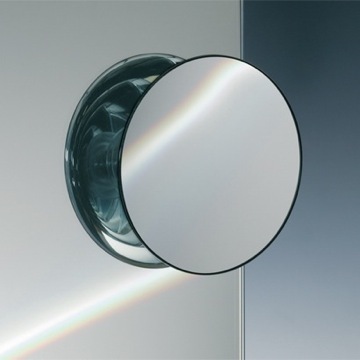 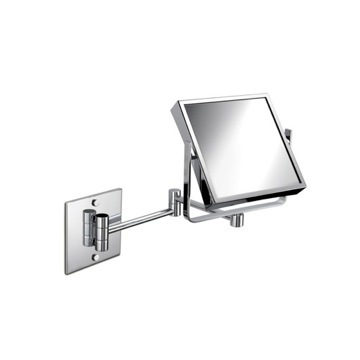 Add this high quality, contemporary optical mirror to your already contemporary bathroom. 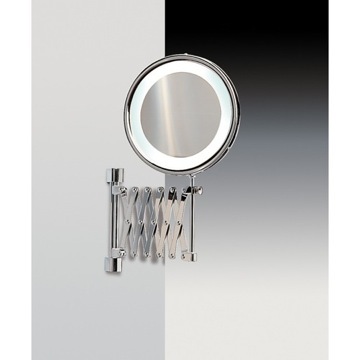 Made in quality brass and available in chrome or gold. 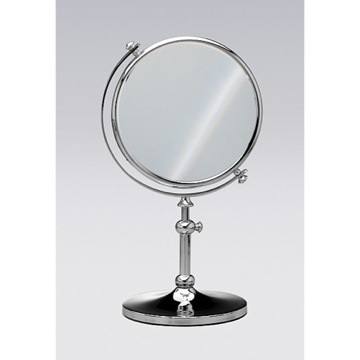 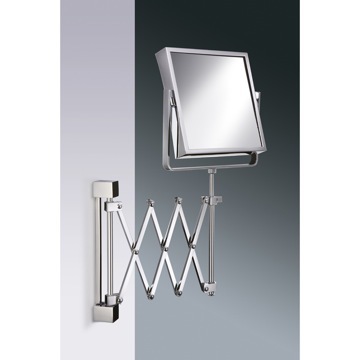 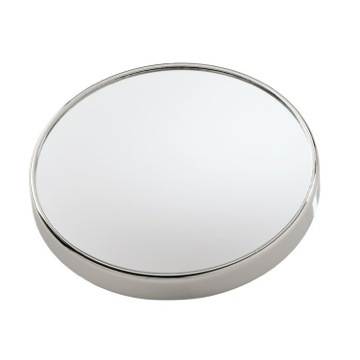 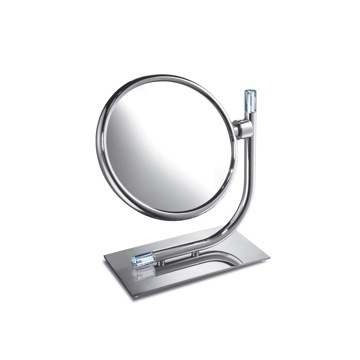 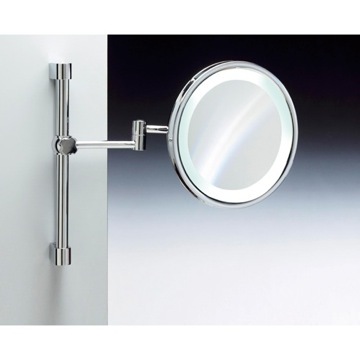 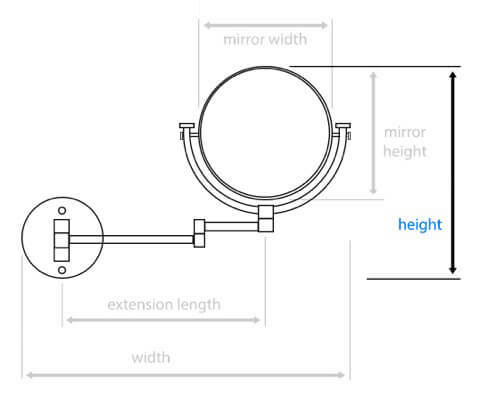 This suction pad magnifying mirror is designed and built in Spain by Windisch and is from the Windisch Suction Pad Mirrors collection. 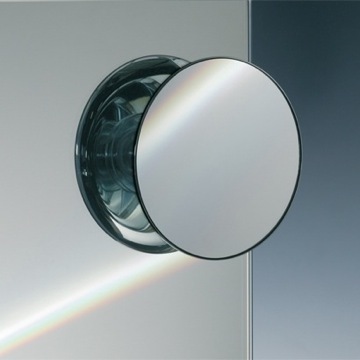 What's the height of the mirror without the suction cups? 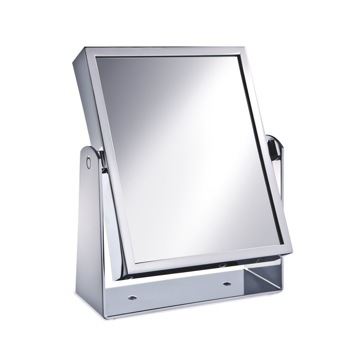 The height of the mirror without the suction cups is 6.9".